The Nortel IP Phone i2002 is a standards-based IP Phone that connects directly to the Local Area Network (LAN) via RJ-45 connector. The 2002 IP Phone is feature loaded and also supports the IP Key Expansion Module. 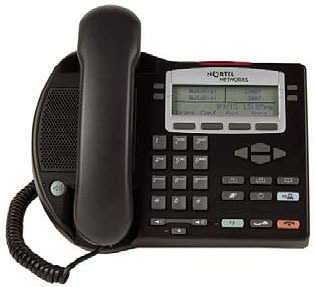 The Nortel 2002 IP Phone is supported on both enterprise and carrier platforms, the display-based IP Phone i2002 is ideally suited for moderate call volume users, such as office professionals and technical specialists.